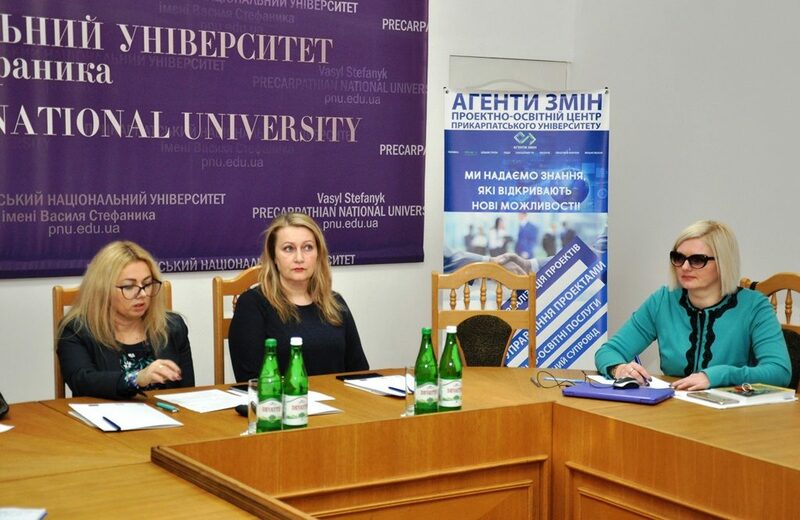 On December 28, 2018, Oksana Hryshkevych, Director of the State Investment Projects and Development Support, Ministry of economic Development and Trade of Ukraine, and Nataliia Lahoiko, expert on the World Bank’s financial management projects held another training session for the trainers of “Change Agents”; the session was run within the framework of the EU sectoral budget support project. The experts provided the trainers with the information concerning financial instruments to support state and regional development projects; the available cross-border and transnational programs, sectoral budget support project, government investment programs in particular. Special attention was given to the system of managing government investments and the principles of its reformation, the order and criteria for choosing investment projects, new approaches to calculating their economic effect. The other issues discussed concerned the financing of the World Bank’s projects, the second project of the development of the city infrastructure, the co-financing of projects by the International Bank of Reconstruction and Development and the Fund of Pure Technologies.